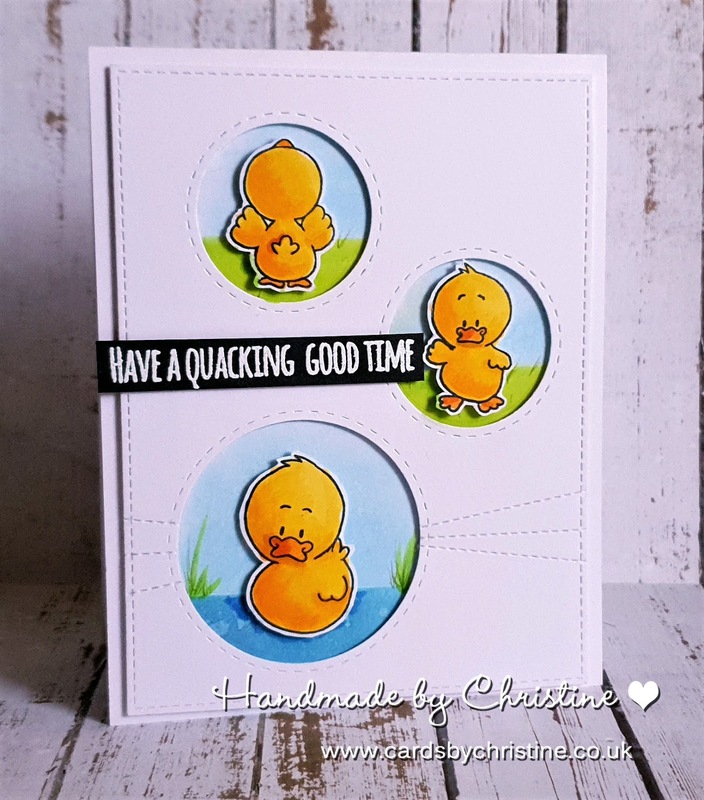 It's Christine here today, and I'm really happy to be here to share my second Guest Designer make. 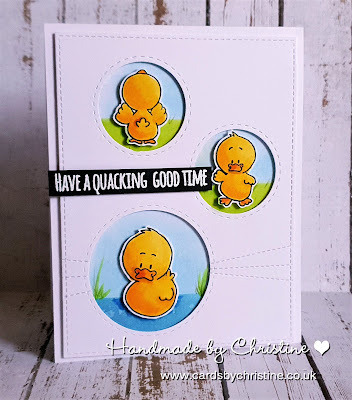 As Spring is just around the corner, I was inspired to use the fabulous Lucky Duck Clear Stamp Set for my card. 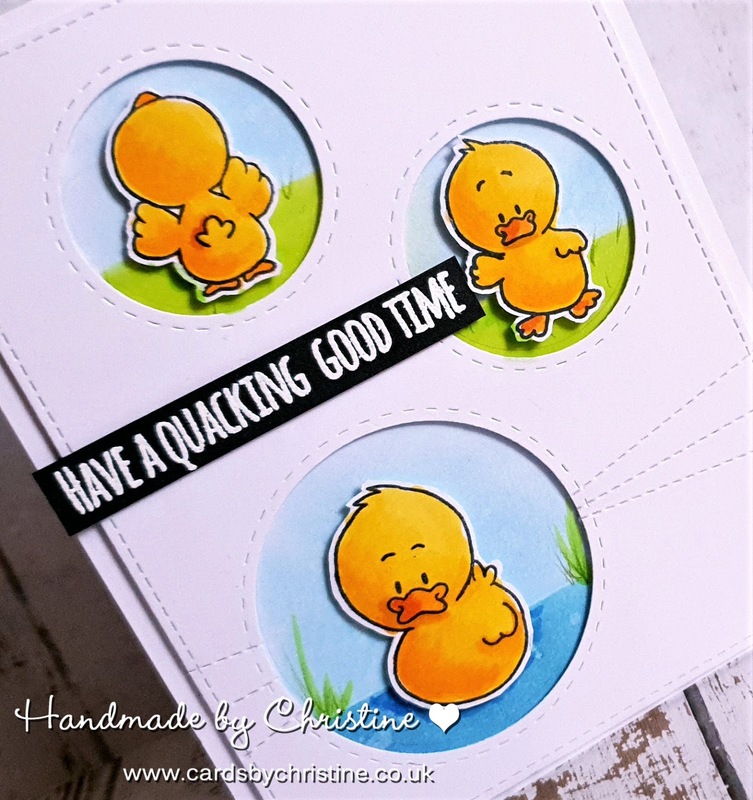 Firstly, I cute a white card stock panel using a stitched rectangle die - then used an inside and out stitched circle die in two different sizes to cut out the circles for the ducks. I traced through the circles in pencil onto my pre-folded card base so I knew where to color the background for each of the ducks. I used Copics and Distress Inks for these backgrounds. I adhered the panel to the card base using foam tape, then after coloring the ducks with my Copics, I also used foam tape to adhere them into each of the circles. Lastly, I stamped a sentiment from the stamp set using Versamark onto black cardstock, before heat embossing with white embossing powder. Be sure to use an anti-static pad or powder onto the black before stamping - otherwise you will get flecks of white embossing powder around the words.